Casio G-zOne Commando device owners, be on the lookout. 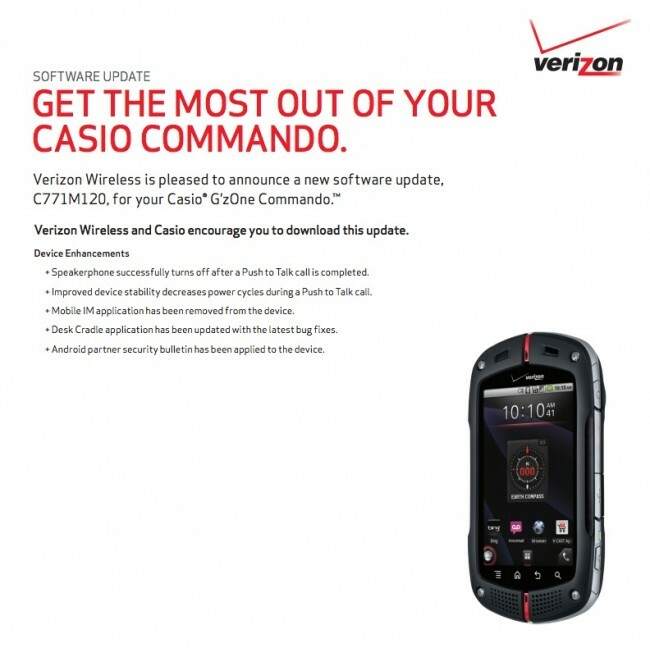 Verizon is pushing an update to your ultra-durable tank phone. The update includes some bug fixes for the push-to-talk feature of the device, the Mobile IM application has been completely removed (hooray for less bloat), and the Desk Cradle application has been updated for bug fixes as well. Sure, it may not be an Ice Cream Sandwich update, but at least you can rest assured that if you drop this device, it will never die.